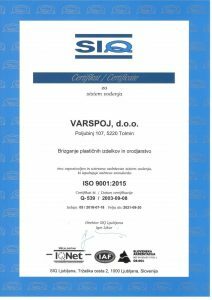 Many years of experience and knowledge ensure the quality of all production services by VARSPOJ, d.o.o., which is also confirmed by being awarded the International Certificate for ISO 9001:2008 quality management standard. In accordance with the UL certificate, the company uses exclusively high-quality materials for production that have been tested in international certified laboratories. 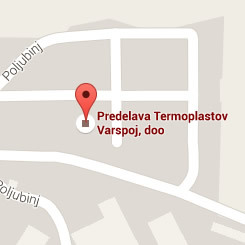 The company meets the criteria for excellence in creditworthiness, and is one of the most reliable Slovenian business entities, entitled to use the internationally recognized AAA status, which represents the global standard of excellence in creditworthiness.